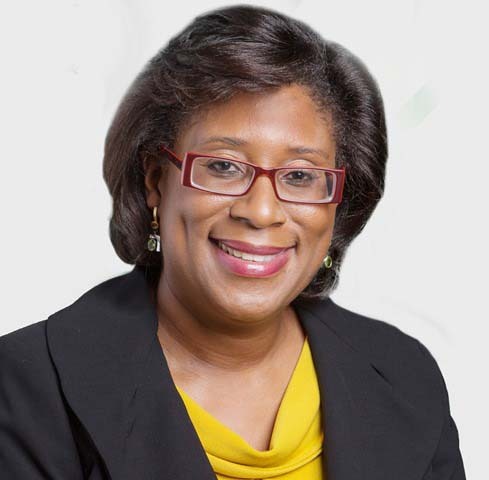 Twenty-five government forms will be made available online next year to create ease of access for citizens utilising government services, Minister of Public Telecommunications Catherine Hughes announced yesterday. Hughes made the announcement in the National Assembly during the second day of the debate of the government’s proposed 2019 national budget. “There is no doubt that the appropriate utilisation of Information, Communication Technologies (ICTs) can improve the lives of all Guyanese… the transformational effect the use of ICTs can have especially on small developing states and the corresponding positive impact on national development is real. As government, we recognise this and see ICT as an overall cross-cutting component in our national vision to obtain developed country status in the coming years,” Hughes said in her opening statement. She noted government’s understanding of the benefits associated with the use of digital technologies, including providing citizens with easier access to services, which has seen the administration embrace the concept of electronic government. Included within this concept is online access to 25 additional government forms, which will be available next year for both locals and those in the diaspora. “These electronic public service forms or E-forms will cover services such as business registration, police clearance, sickness and benefit claims, house lot applications, job seeker registrations, job vacancy registration, nursery and primary school applications and, of course, the passport application process which is already in place and the registration of births, marriages and deaths,” Hughes said. She also explained that agencies such as the Guyana Revenue Authority, the National Insurance Scheme and the Guyana School of Agriculture have already been encouraging persons to consider their online services. In addition to this, Hughes related that government’s level of commitment to promoting connectivity is reflected in the 2019 allocation of approximately $1.9 billion in two major projects—the ICT access for hinterland poor and remote communities and the $3.7 billion National Broadband project. “These decisions were not made on a whim; we have done extensive groundwork completing the ICT baseline assessment to ensure that we are able to provide digital services, especially in hinterland poor and remote communities. These resulted in six strategic E-government objectives that are aligned to the UN’s SDGs, [the] Green State Development Strategy and [the] ICT policy,” she said. With the establishment of 131 ICT hubs to date, the Minister said they are looking to invest in the construction of a state-of-the-art data centre to complement the already existing facilities and to ensure the safety of government data. Further, Hughes noted that investment in cyber security is budgeted to exceed $100 million as it is recognised that access to the internet increases challenges in terms of security and the protection of valuable data. Also on the agenda for the New Year is the continued rebranding of the George-town Post Office Corporation (GPOC), with a focus on providing new services, including express mail service with online tracking capabilities. The GPOC’s main objective is to help the people, organisations and communities of Guyana grow by keeping them connected through money transfer, mail and information however, the minister said this continues to be a major challenge as the postal services have been neglected for more than two decades, as evident by the dilapidated physical infrastructure at many of the 46 post offices across the country. “This continues to be a massive drain on the resources, especially given the spate of robberies,” she said, while noting that just three days ago $2.2 million was stolen from the Charity Post Office and over the last two years a total of over $8.3 million has been stolen. “It is, therefore, clear that our postal services, if they are to become financially viable, must reduce the amount of cash it has on hold,” Hughes said. It is against this backdrop that they have started to look at a programme that will increase the convenience of senior citizens in accessing their pensions, which essentially means implementing other payment systems for pensions, such as bank transfers or utilising GTT’s mobile money application. “The difference is that at least citizens will have a choice. Mr. Speaker, recognising the significant number of citizens who are approaching the age of retirement, we know that many of them have a bank account and are digitally competent. Therefore, we are assured that they would want to utilise such facilities,” the minister added. Hughes also mentioned plans in 2019 to carry out capital works at the Anna Regina and Soesdyke Post offices, at a total cost of $38 million.